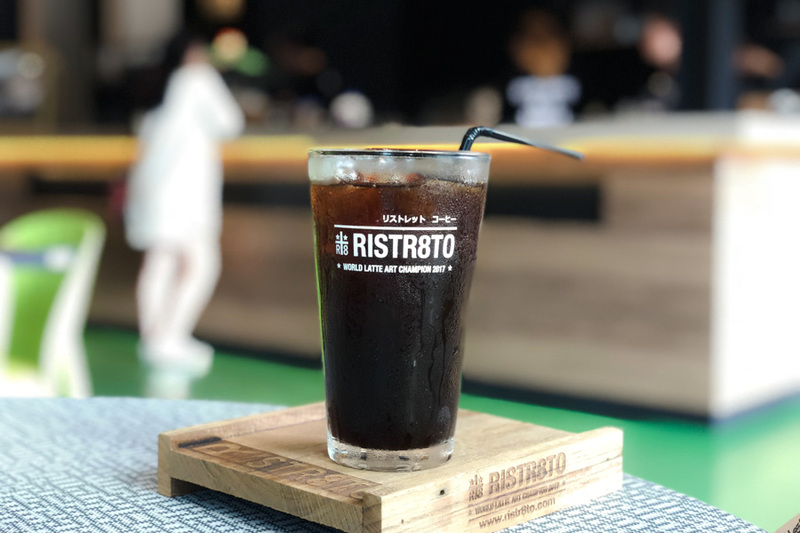 Ristr8to is one of the most famous cafes in Chiang Mai, and even probably Thailand for a good reason. 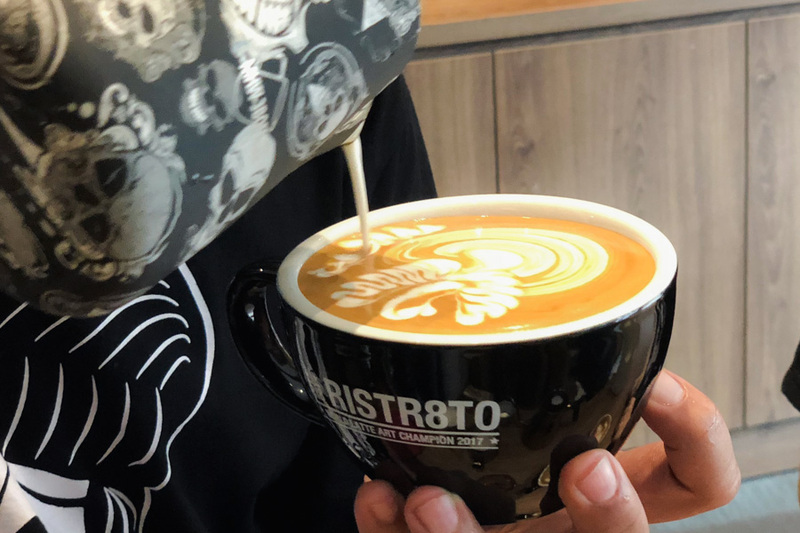 That is because the stylish (yet media-shy) owner-barista Arnon “Tong” Thitiprasert, has won several latte art championships, including the World Latte Art Champion 2017 and Thailand Latte Art Champion from 2015 – 2017. 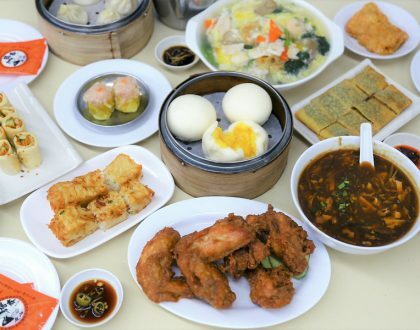 Except that he is not at the Singapore outlet, yet. 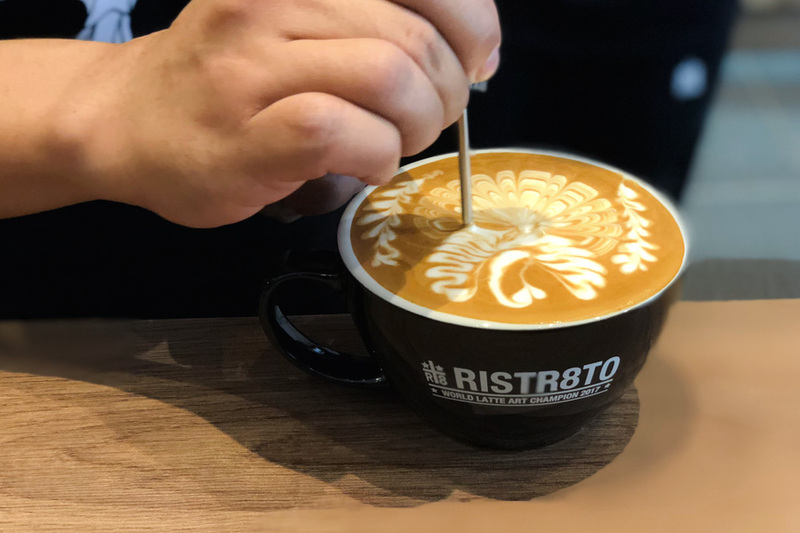 With no news on social media, and no facebook or Instagram pages set up yet, coffee fanatics may have a hard time finding the Singapore outlet of Ristr8to. 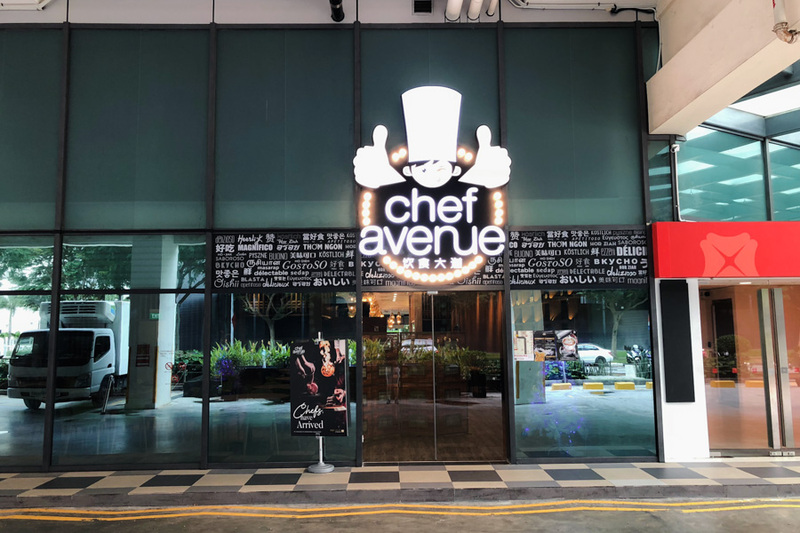 And it is not at the most obvious of all places, within Chef Avenue Food Court at 26 Tai Seng Street (J’Forte Industrial Building). It seems rather at odds at a “hipster café” will occupy a space within a food court, but I guess there are good reasons for doing so. 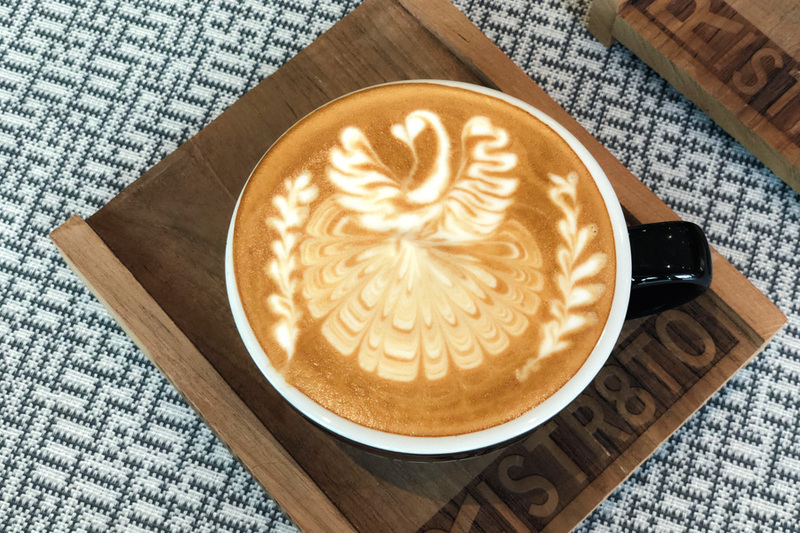 The team initially moved from Australia to Nimmanhaemin Road in Chiang Mai, and gained quite a good reputation for their coffee and latte art. 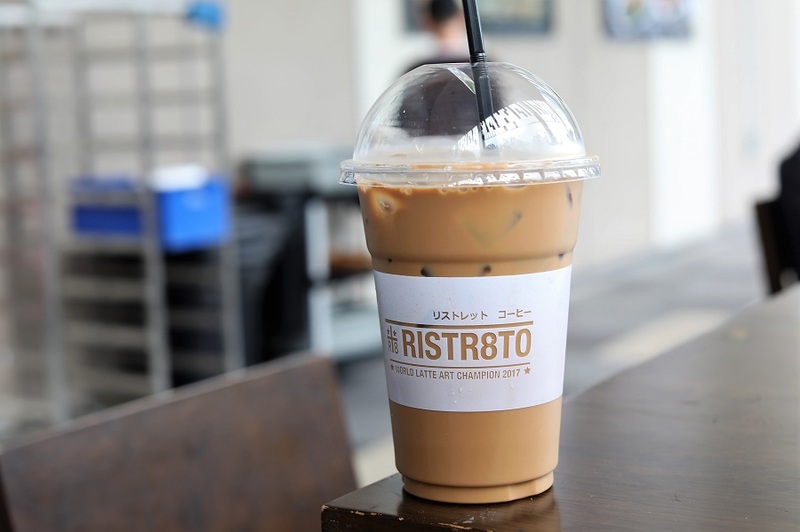 In case you are wondering why the name “Ristr8to”, head-barista Arnon is obsessed with the number 8, as there are supposedly 88 chromosomes in a doppio ristretto (something new I learn all the time). 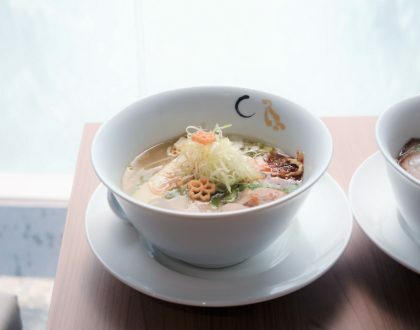 In fact, regulars would know that their Thailand café opens from 7:08am to 6:08pm. 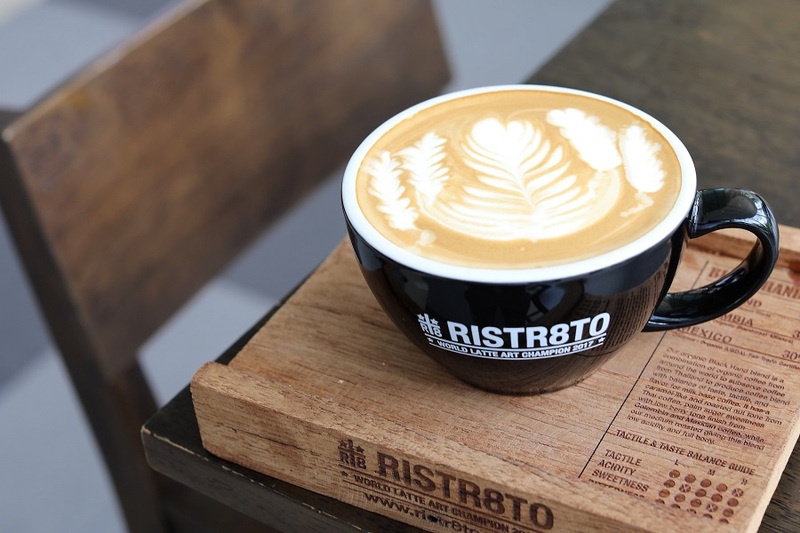 All of their coffees are served as a “Double Shot Ristretto” as standard. 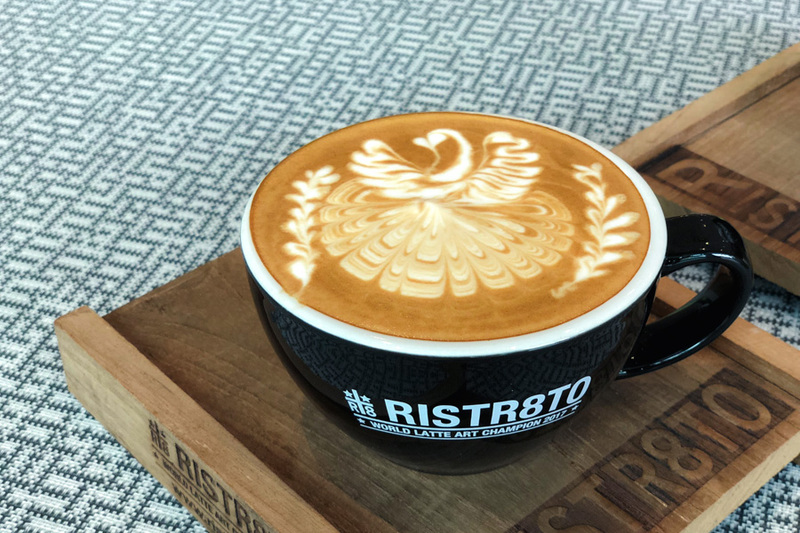 The team has specially chosen their menu, including cup size and shape to best reflect the true flavours of each coffee. 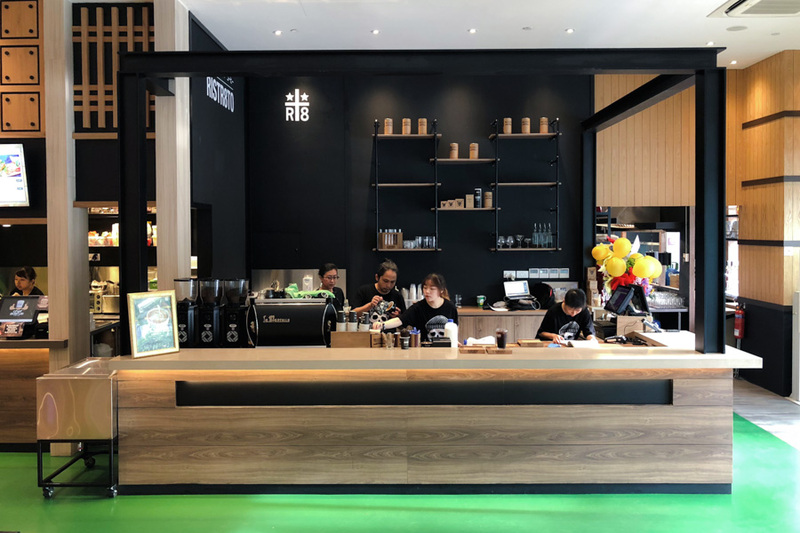 Other than the standard cups of Macchiato ($4), Caffe Latte ($4.50), Long Black ($4), Cappuccino ($4.50) and Café Mocha ($5), they have a few pages of interesting coffee. Their specialty cups include the Satan Latte ($5) – officially used after the World-winning latte art championship, Ficardie ($4.50) – their first signature coffee inspired by the Magic Coffee in Melbourne, and Godmother Mocha ($5) made using a secret recipe of Brazilian Cacao Syrup mixed with long Ristretto shot then topped with silky milk. It was not only a delicately-beautiful cup, but one which was well-balanced and I loved the smooth-milky mouthful towards the end. 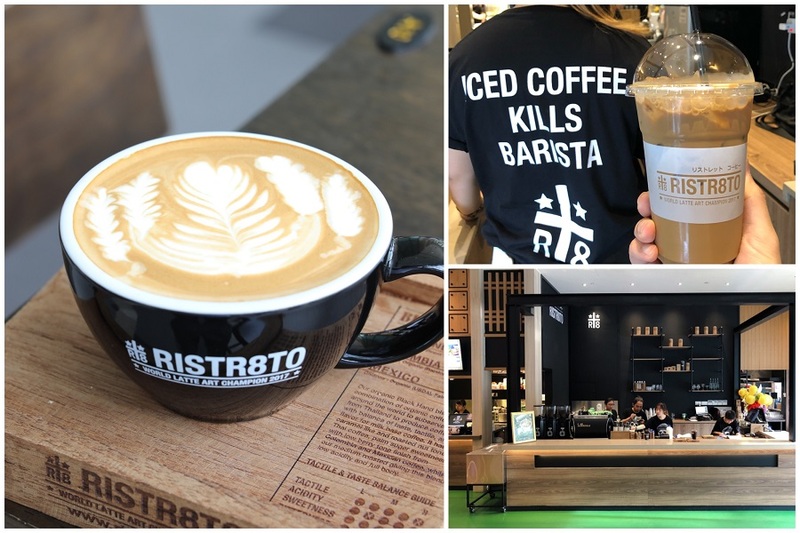 Spotted a staff wearing the T-shirt “Ice Coffee Kills Barista”. Quite tongue-in-cheek, but the barista explained that making an ice coffee required less skills, though many customers order it. Had one Iced Latte and thought that the warm version worked better for me, as the proportion was slightly off. 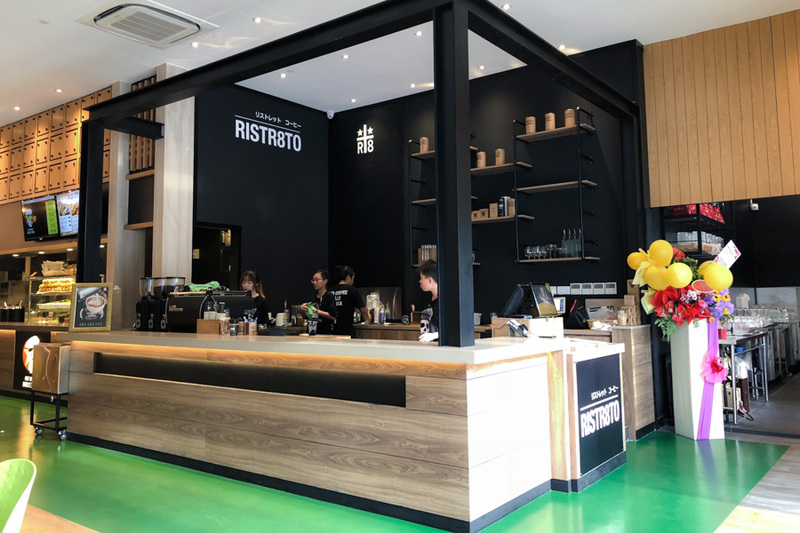 Well, good to find decent coffee at this part of Singapore. 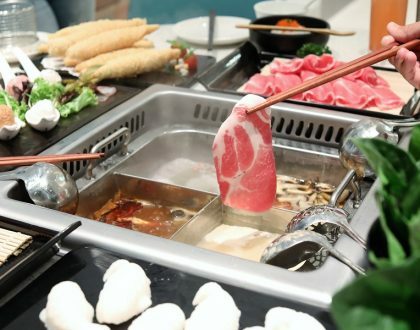 What are the opening hours like?